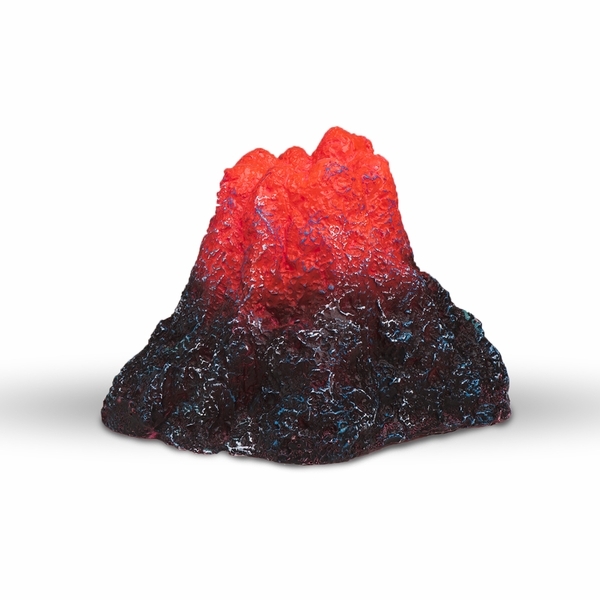 Easy to use 5.5" Volcano ornament. 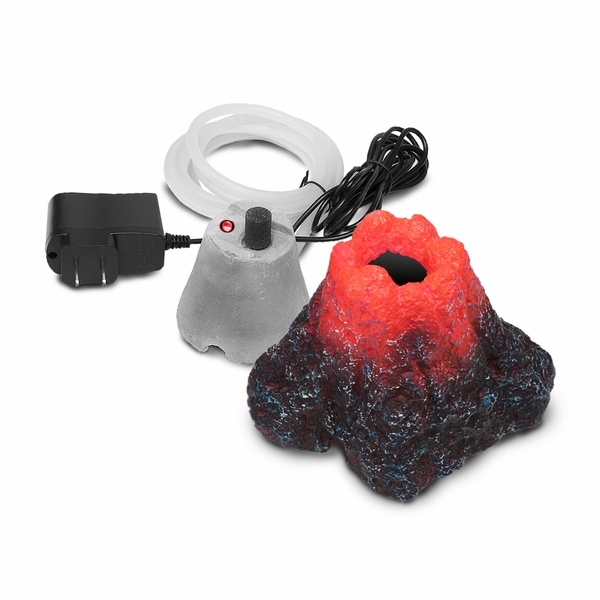 Simply attach to air pump (Sold separately) via airline tubing and place inside aquarium. 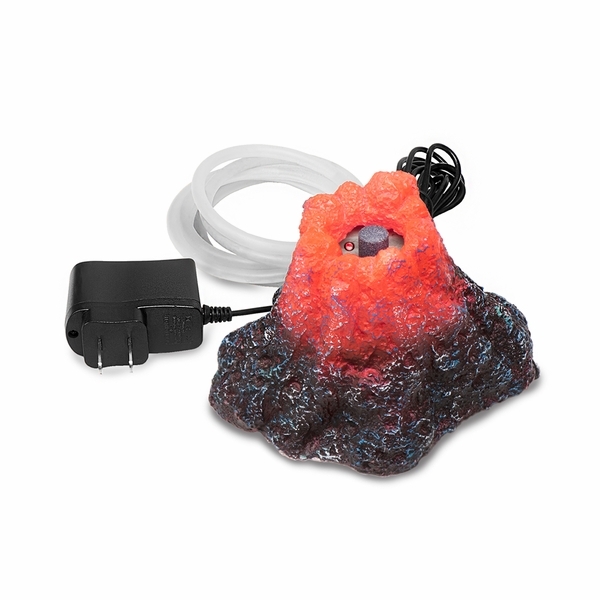 Includes a LED light for a glowing molten lava effect.